ZIAUDDIN CHOUDHURY ponders over the confusion created by religion and politics in our cultural identity. In the tumultuous days following the August 1975 coup, one of the most bizarre presents that Khondoker Mushtaq Ahmed gave to the traumatised nation in his brief Presidency was a new national dress. He decided in a cabinet meeting that the dress worn by the country's founder (known as Mujib coat) didn't represent our national character or culture as he had thought or defined it. Therefore, we needed something that involved a sherwani and a cap as our national dress. We know what happened to this dress -- no one followed it except perhaps him. For the next 15 years, we would have two military leaders, none of whom would impose any new national dress. But we had toadies who would imitate the favourite dresses of these leaders and try to pass them as new versions of national dress. None stuck. What stuck with us, and it still remains as our unrecognised national dress -- the ubiquitous panjabi/pajama for the men, and sari for our women. Because this is how we would like to define ourselves, and express ourselves. Our obsession with dress is but one aspect of our confusion with culture. Time and again we have come across this dilemma, more so perhaps abroad than at home -- what defines us as a Bangladeshi? Is it our language, ethnicity or religion? Unlike other countries in South Asia, Bangladesh has a high degree of linguistic, religious, and ethnic homogeneity. While we have a large Hindu minority and there are small ethnic minorities in the form of tribal groups, the country does not have the level of ethnic or sectarian tensions that its neighbours do. Our religious differences, although politically manipulated at times in the past, could never wipe away our ethnic and linguistic homogeneity. And yet we often seem to have confusion about our identity, about culture, about what comes first -- the nation, language or our heritage. Pablo Picasso had once said, “If everybody is looking for it (culture), then nobody is finding it. If we were cultured, we would not be conscious of lacking culture. We would regard it as something natural and would not make so much fuss about it.” In all our debates, choices and counter choices in deciding what we are as a nation we never seem to follow this famous advice. It is ironic that 40 years later we still have doubters and detractors among us who would like to define a path of cultural identity different from the one for which we laid down lives. It is paradoxical that despite that sacrifice to save our language and culture we still face elements among us who would like to revert to ways of the past that once led the country to destruction. This cultural confusion rises to the surface from time to time either due to political orientation of some among us who seek to put religion above our national identity, language and heritage, or lack of pride in some of us for what we are as a nation. We see evidence of this in counter culture movement both at home and abroad when some people denigrate our Bengali cultural practices as heretic or non-religious and urge people to abandon these. We see evidence of this in products from educational institutions that are nurtured in traditions other than that of our national culture and heritage. We see evidence of this in the political philosophy and ideology of leaders who think of themselves as belonging to a larger community that is tied by a bond of a common religion rather than by our ethnic and national boundaries. I say these because we have zealots among us who want to convert our young and unsuspecting minds to an identity based on religion alone. The zealots would have us and others believe that the identities based on language, culture and ethnicities are inferior to religious identity. They foster an illusion that religious faiths provide the only platform a people need. They confuse national identity with the avocation of a common religion, and try to subjugate their national individuality to religious affiliation. We have seen the pernicious effects of these attempts in the past. From 1952 to 1971, we went through a long period of deprivation and neglect for our people because of the long drawn language and cultural fight with the forces that were denying us our rights. Unfortunately, in this fight our political masters that period were not alone, they had adherents from among us who had ideological affinity with our rulers of Pakistan period. The culture they believed in was a different one from what is rooted in our soil, our language and our own Bengali traditions. This tradition transcends religious boundary, it transcends time, and it binds all faiths together in a single -- Bengali -- identity. It is one thing to have political divisions on how to run a country and its government, and over economic and social systems that we should have in the country. We can even have debates on what to wear and not to wear. I can even understand why for reasons of modesty some can opt to wear a dress that appeals to them, or someone to sport a beard because of his belief. But it is completely a different thing when people spurn one's national heritage and cultural tradition in favour of some alien tradition that has its root elsewhere in the name of religion. This is a negation of what we truly are, and the values we stand for regardless of faith and religious persuasion. Should religion alone define who we are? If that were so, the map of the world would have been redrawn long ago, and the count of countries much simplified. There is an organisation called North American Bangladeshi Islamic Community (or NABIC) in the US that describes promotion of religious awareness and practices among Muslims of Bangladeshi heritage in North America as one of its missions. Similarly there is another organisation named Muslim Ummah of North America organised and maintained by people of Bangladeshi origin which, among other things, views itself as an organisation that calls to Muslims to practise Islam in their personal and social life and try to introduce Islam to the non-Muslims. One wonders why people hailing from Bangladesh that has close to 90% of its population practising Islam would require to have the label of their religion added to any community association that they form. One wonders why they think that the name Bangladesh is not enough for the appellation they give to their association or gathering. We need to come to grips with the confusion and our conflicted approach to our culture and identity. At home our political parties need to put aside any debate on our language and Bengali traditions, and ensure that these are at the forefront of learning for our next generations. We all need to agree that our first identity is our Bangladeshi nationhood that derives its strength from centuries of Bengali tradition and heritage. This in no way stands against our religious faiths of which there is more than one in our country, albeit in differing numbers. We need not be afraid of any invasion of alien culture if we are truly immersed in our own culture and traditions, and teach our next generations to take pride in these traditions. Our leaders lead the next generation astray when anyone among them tries to foist any other values over and above our own Bengali culture and heritage. The deviant Bengali elements abroad who seek a platform on religious affinity alone need to heed to lessons from the past. A nation that was forged some 60 years ago in the subcontinent based on religious identity fell apart because it was artificial. It ignored the fundamental basis of national identity of language, culture and history. The sense of nationhood, i.e. nationalism, is constituted by the existence of a common feeling, a collective consciousness, among a group of people bound together in a political unit forming a nation. Religion by itself does not provide this consciousness. This collective consciousness is a product of the conditions determined by regional and racial characteristics, a common language, specific traditions, historical heritage and a common culture. The founding father of our country gave us this sense. We brought this sense to fulfillment when we achieved our freedom. 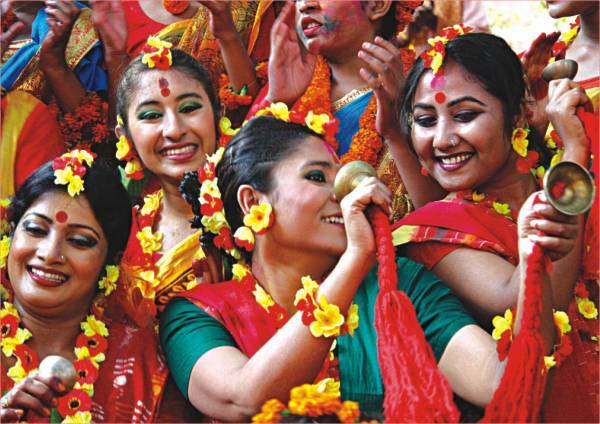 The good news is that despite the attempts by groups of people to take us to a different path, the Bengali people have stuck to its culture and language for centuries. The most important takeaway lesson from all that is happening around us is that the bulk of our people, both at home and abroad, is proud of our national culture, language and traditions. 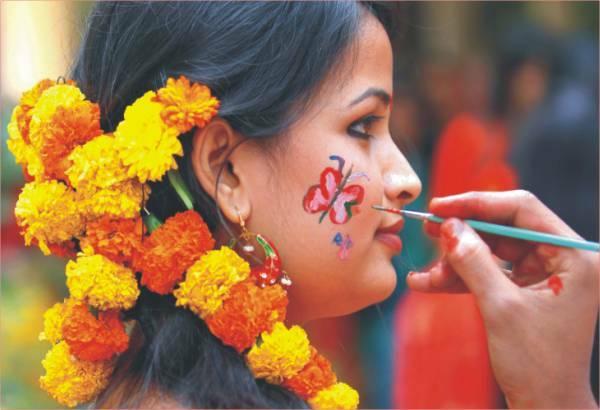 This we see in the way we celebrate our culture and language through festivities both at home and abroad. The deviancies that I talked about and we see from time to time are attempts that will try to dampen our spirit. But I am confident these too shall pass, and our culture and traditions will triumph over any adversity. Ziauddin Choudhury works for an international organization in the USA.